Welcome to this week’s Way Back Wednesday, a feature between four blogs where bloggers can link up evergreen posts from their archives to get new exposure. We’re excited to have more and more bloggers link up every week. Readers–I hope you’ll check out these oldies-but-goodies, there’s great stuff in there! Elizabeth has been blogging since September 2011 at Rock-A-Bye Parents and can also be found blogging at The Blogging Bunch. She is a busy single mom to one amazing 4 year old. When not blogging, she’s busy working her Jamberry Nails business and subbing in area elementary schools. 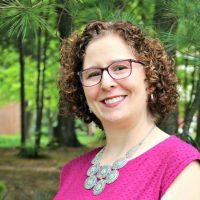 She blogs about a variety of topics from product reviews, information on home and family life, travel tips (with a focus on Disney, her favorite place), helpful information about food allergies, and much more. You know I’m a fan of frugal parties, so I just loved this Classy Pink DIY Baby Shower post from DIY Just Cuz. 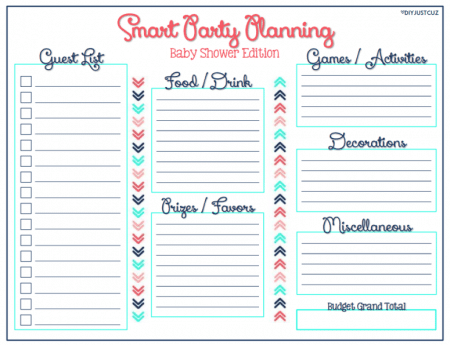 She even includes a printable planner to help you organize all your ideas! You know I love this One-Pot Chicken Lo Mein where you throw everything in at once and voila–dinner. The Craft of Laughter tested out this similar recipe, One-Pot Tomato Basil Pasta, and declared it a keeper! Let’s get to the link-up! This link party is specifically for older posts that you want to bring some new attention to. They can be unedited or completely rewritten. If you’re a blogger, it’s a great reason to re-visit an old post and update it with a new, Pinnable image! 1. Click the blue “Add your link” button and follow the instructions to add your link and image. 2. You can submit up to 3 posts per week and you are welcome to share posts you’ve linked up before. (Just don’t be spammy about it.) Please no link-ups, giveaways, or sponsored posts. 3. Visit other blogs and leave a comment to let them know how you found them! 4. Please promote this link party in some way–either link back here, or post about it on social media.